I love how this year's collections were all about passion, beauty and power. The fall/winter season features amazing trends, the kind that are all about the feminine elegance and boldness. Red, burgundy and bordeaux have given fabrics a whole new twist in women's wear. 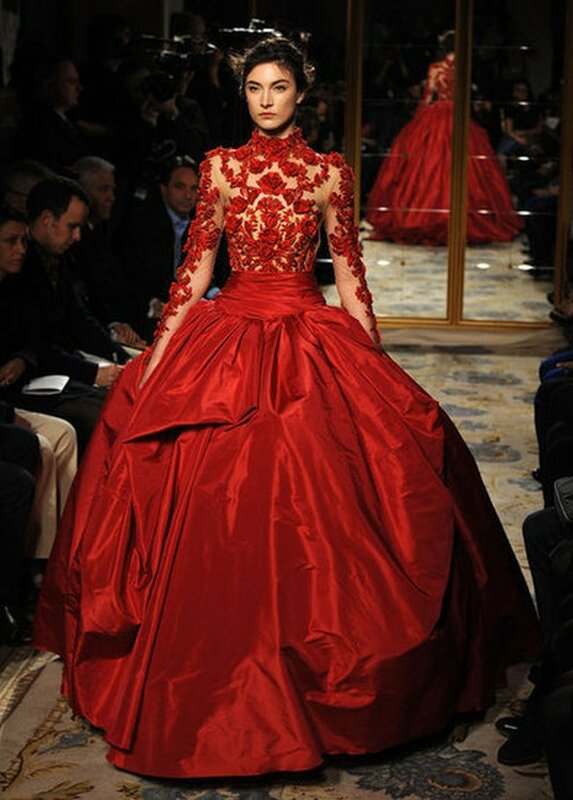 Designers have given red a whole new intensity and meaning across evening wear, shoes, bags and makeup. Miu Miu took colors and patterns on a spin in the fall 2012 collection. Man suits have become more intense and feminine in red and beautifully intricate patterns. 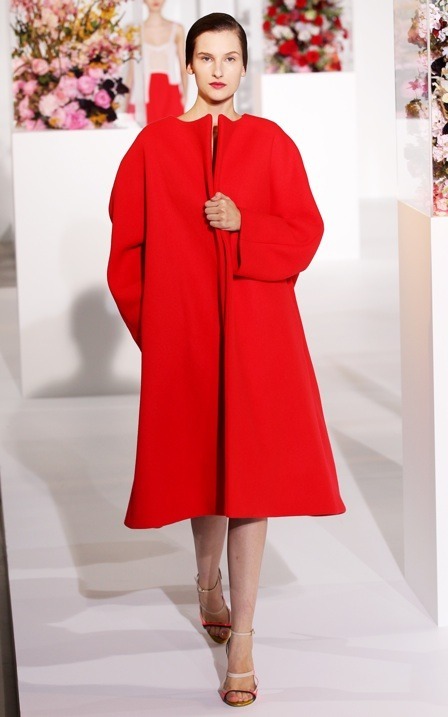 Jason Wu's take on red is creating contrasts with neutral colors, such as black. The dresses are beautifully cut to showcase the body. Emporio Armani decided to use "fun, ironic touches, alluding to the roaring Twenties" and black Bermudas for an "unpredictable" take. Victoria Beckham has a design that can easily be recognized. Red is intense, feminine and bold, whereas the lines highlight the body, making the waist look leaner and more well defined. The black is also reducing the intensity of red. 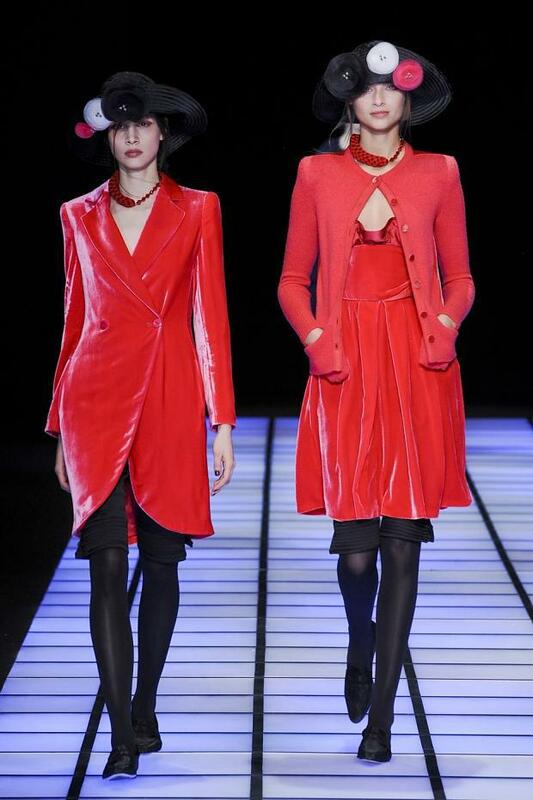 Valentino was all about intense red, leather, lean shapes and long sleeved dresses. The red leather dress that looks so much like intricate lace embroidery went viral. Moschino's Rossella Jardini gives Milan a new take on women's wear. The aim was to throw a parade. "We want a good time" she was heard telling her staff before a catwalk show. Lanvin is always feminine, but the fall 2012 collection is amazing. Designers focused on red and peplum dresses. The peplum detail highlights the waist and when combined with red fabric, it gives the most elegant and sophisticated look. The Elie Saab Fall 2012 collection featured a long red dress with a high leg slit, geometric see-through patterns and a fabric belt to highlight the waist. Jil Sanders is the kind of designer that doesn't settle for simple, but for luxurious, bold and intense. Givenchy had a much darker vision for the fall 2012 collection. We kind of loved the vampy outfits and the red blood dresses that had beautiful Victorian details. 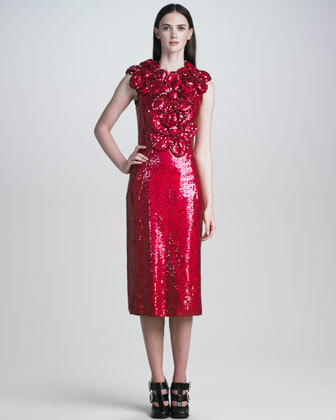 Marc Jacobs gave red a sparkly twist with this sequined floral-neck dress. It's opulence all the way. Inspired by "A soul brought to heaven" (painting from 19th century) the Marchesa Fall 2012 collection is amazing to look at. Georgina Chapman and Keren Craig delivered a dramatic collection with beautiful embroidery, high volume skirts and red blood.